Lets suppose we have a website which has below form based submission and search feature. (I have used XVWA for this). Once we submit the form we can see the below request in BurpSuite. From here we can follow two approaches to run the sqlmap and exploit. 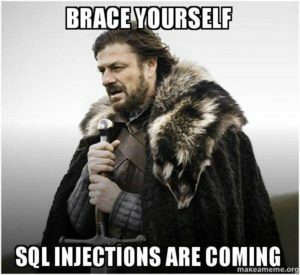 We will run below command to check if it is vulnerable to Sql Injection. sqlmap -u "http://192.168.194.190/xvwa/vulnerabilities/sqli/" --method -post --data "item=1&search="
It gives me below result after enumerating the details of the application and the database. We will confirm further by adding –dbs flag at the end, eventually it will give all the databases present. Oh yeah ! We are getting the desired results. We can follow the steps mentioned in the previous post for further exploitation. Now we will discuss the other way if you are not willing to enter –method or –data. I find this approach quite simple. We just need to create a text file and put the complete request in it. Now run the below command. and it gives below result, perfect. Excellent, I hope this post will turn useful for everyone. There are lot of things coming up in terms of Advanced usage of Sqlmap. Any questions or suggestions are always welcomed.